Five Star General (photo via NYRA). In the earliest runnings of the Sam F. Davis Stakes (GIII), which will be contested this year for the 39th time, it wasn’t typically considered a serious race for trainers with legit colts and geldings headed toward the first Saturday in May at Churchill Downs. All that changed, however, in the early 2000s when a popular runner named Burning Roma, who was fourth in the previous year’s Breeders’ Cup Juvenile (GI), captured the race before winning the Tampa Bay Derby and establishing himself as a legit graded stakes performer who ran at the elite level 36 times. Bluegrass Cat, who was second in the 2006 Kentucky Derby and Belmont Stakes (GI), followed soon after, as did notable names Any Given Saturday, General Quarters, Vinceremos, , McCrackin and Flamewaway a year ago. Though no classic winners so far have emerged after winning the 1 1/16-mile event, it has turned into a popular spot for Derby hopefuls, especially since it offers valuable Derby points to the top-four finishers on a 10-4-2-1 scale. This race, which was named for the former president of Tampa Bay Downs and one of Tampa’s best-known businessmen who passed away in 1993, was inaugurated in 1981 and has served as the traditional prep for the Tampa Bay Derby (GII), which has been set for March 9 this year. Five winners of the race have gone on to win the Tampa Bay Derby — Phantom Jet (1987), Speedy Cure (1991), Marco Bay (1993), Thundering Storm (1996) and Burning Roma (2001). Todd Pletcher has saddled six winners of this race (Bluegrass Cat, 2006; Any Given Saturday, 2007; Rule, 2010; Brethren, 2011; Vinceremos, 2-14; and Destin, 2016) while John Velazquez has been aboard three runners that made it to the winner’s circle, all for Pletcher (Bluegrass Cat, Rule and Destin). Just last year, Flameaway posted the fastest time in 1:42.44. Though a classic winner has yet to emerge from this race, a good field of ten will assemble this year with the winner hoping to turn that luck around and be a factor in one of the three jewels of the Triple Crown in the spring. Counter Offer – Trainer Ian Wilkes saddled McCraken to victory in 2018 and sends this son of Tapizar out in his debut stakes appearance. Jockey Antonio Gallardo seeks his first Sam Davis win here. He and Wilkes have been hitting at a 29 percent rate for the past 60 days. Going For Gold – Another “in deep” Loooch Racing runner, this Bob Hess Jr.-trained son of Atreides is making his first start for his new connections and is still a maiden after two close seconds sprinting at Laurel last year. Jose Bracho rides the gelding, who will likely be an early pace factor. Knicks Go – the Breeders’ Cup Juvenile (GI) runner-up makes his first start since an 11th-place finish as the favorite in the Kentucky Jockey Club Stakes (GII) last November. Trainer Ben Colebrook seeks his first Sam Davis win, as does jockey Albin Jimenez, and the 5-2 morning line favorite is the only runner with Derby points so far, sitting second behind Game Winner with 18 total. Cave Run – This Godolphin owned and bred son of 2007 Tampa Bay Derby (GIII) and Kentucky Derby winner Street Sense was a well-beaten favorite in the Pasco Stakes last out after breaking his maiden here in the slop in December. 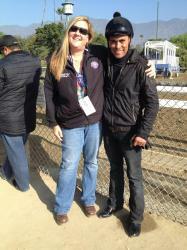 Trainer Eoin Harty hasn’t won this race yet and neither has jockey Jesus Castanon. He seems to be a bit of a closer in his first start around two turns. Moonster – we can always count on trainer Dale Romans to send one out looking for Derby points and here, in his first attempt to win the Sam Davis, he will saddle Calumet Farm’s Moonster. The son of Malibu Moon has been beaten double digits in his four starts since breaking his maiden at second asking back in September and, though he’s won going a route of ground, he’s yet to be productive at two turns. Samy Camacho rides for the first time. Kentucky Wildcat – this impeccably bred Goldolphin homebred (by leading sire Tapit, out of multiple Grade 1 winner Better Lucky, by Ghostzapper) makes his stakes debut for trainer Tom Albertrani, who hasn’t had any winning luck here so far. The colt’s regular rider, Joe Bravo, will be in town from his winter stint this year at Oaklawn and the pair will likely be up on the engine early. No doubt he will have a lot of local fans should he make the Derby starting gate, thanks to his name. Five Star General – This WinStar Farm and China Horse Club colorbearer (bred by WinStar) comes in off two wins, including the off-the-turf Central Park Stakes at Aqueuct more than two months ago. Arnaud Delacour trains and seeks an initial win here. Eclipse winner Jose Ortiz rides in search of a first win, too, and this well-bred son of Distorted Humor has been training well over this track for a few weeks. 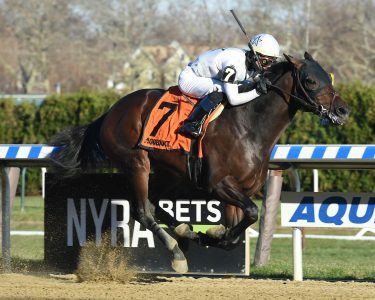 So Alive – He is Todd Pletcher’s hope to win a seventh Sam Davis and the Bob LaPenta-owned son of Super Saver is making his stakes debut in his attempt to do so. He won a route last out in allowance company here and has been training well at Palm Beach Downs all winter. Hall of Famer Javier Castellano is seeking his first win in this stakes. Well Defined – This son of With Distinction is the richest runner here with more than $320,000 in earnings, thanks to his rich In Reality Stakes win for Florida-breds last year. He is a winner at this distance, but he has struggled in open company, including a fifth in the Mucho Macho Man Stakes at Gulfstream last month. Kathleen O’Connell saddled Watch Me Go to victory here in 2011 while jockey Pablo Morales hasn’t been aboard a winner here yet.